After Egypt’s parliament had approved the maritime demarcation deal between Egypt and Saudi Arabia on Wednesday, tens of citizens in several areas in Cairo and Alexandria took to streets to protest the decision. About 16 political activists who opposed the transfer deal from different governorates were arrested on Wednesday in police raids that were held at the dawn. Qasr El Nile prosecution has just released eight of them on EGP 10,000 bail. The approved agreement by the Parliament terminates Egypt’s sovereignty over Red Sea Islands of Tiran and Sanafir and transferring them to be under the sovereignty of Saudi Arabia. In January, Egypt’s Supreme Administrative Court issued a final verdict whereby it annulled the deal and announced it void. However, parliamentary speaker Ali Abdul Aal stated during a session that the court’s ruling will not be taken into consideration and the Parliament will discuss the agreement independently. 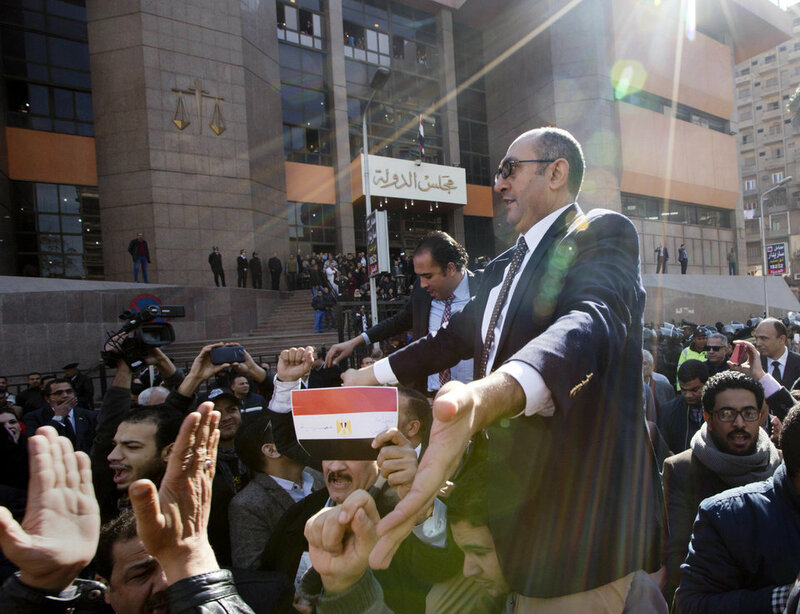 Following the controversy that erupted by the time the Parliament approved the deal, the Commissioners Authority affiliated with Egypt’s Supreme Constitutional Court (SCC) recommended that the Islands fall under Egypt’s sovereignty and the ruling of the administrative court is still valid. The recommendation came after the demand of the Egyptian State Lawsuits Authority, acting on behalf of the government, to revoke the ruling of the administrative court. Khaled Ali, former presidential candidate and lawyer who filed the lawsuit against the transfer deal, also filed another lawsuit with the State Council in order to dissolve the parliament. According to Article 137, dissolving the parliament is valid when the legislature represents a danger on the national security. The transfer deal was signed in April 2016 between Egypt’s President Abdel Fattah Al-Sisi and Saudi’s King Salman. The Egyptian government says that the two islands originally falls under the sovereignty of Saudi Arabia. However, the government didn’t provide any documents to the administrative court to prove its claims. Unlike critics who accused the government of selling Egyptian territories in exchange for billions of dollars and had filed the needed documents to the administrative court to prove that Islands are Egyptian.